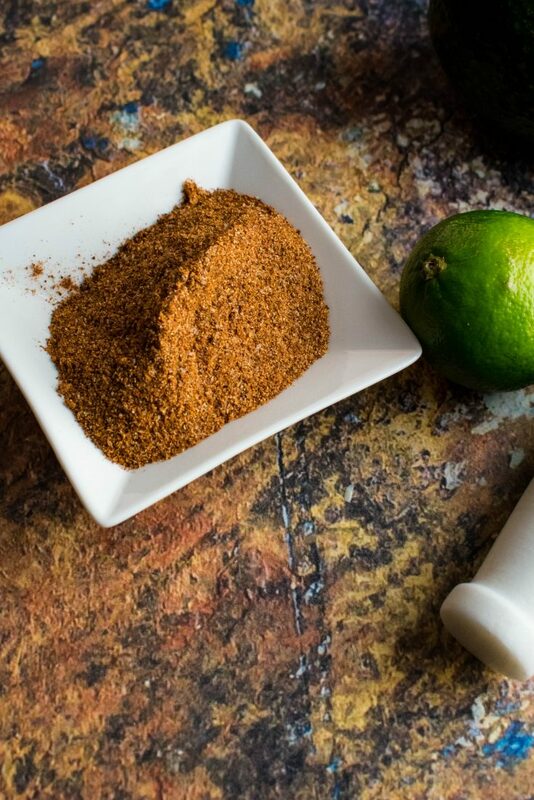 Who hasn’t used the taco seasoning packets from the grocery store? They are incredibly convenient and taste great, but did you know that they have some surprising ingredients? I was shocked to find potato starch, sugar, msg, and even vegetable oil in some of the most popular brands. 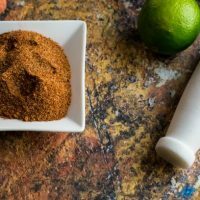 I developed this awesome All-Natural Keto Taco Seasoning Blend that has completely replaced the taco packets in our house. A little over a year ago, I started on this “real food” journey. Long before I ever went low-carb, I started reading more about hidden ingredients in food, and checking the ingredients list of every food item that I brought home. The ingredients list is the one place on a label that they cannot legally lie. It’s very interesting to see what actually is in your food. Once I started reading the ingredients lists there were some foods I stopped buying immediately. Some have slowly worked their way out of our diet, and some keep creeping back in. I imagine that having a completely clean diet will always be a work in progress for us. However, there were some simple changes we could make immediately. Some of the first things to go were the seasoning packets that I commonly used. For the first couple of months I made everything “from scratch,” and it didn’t take it long for that to get old. I firmly believe that food and cooking should bring us joy, and not be a source of stress. When we’re stressed, we go for the corndogs or the Chef Boyardee! My goal is to make my time in the kitchen as quick and easy as possible. I knew that I had to figure out some shortcuts to make in the kitchen. I developed several go to “seasoning blends” that I use on a regular basis. I store these seasoning blends in my cabinet in mason jars and have them ready for anytime I want to cook. I have my all-natural ranch seasoning blend that I use for mostly chicken and vegetable dishes. 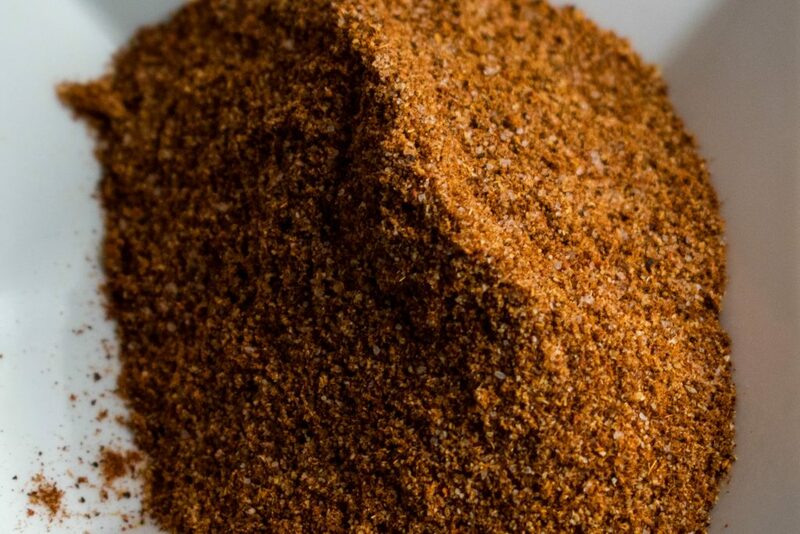 The Steak Seasoning that I use for any meats. And the Chipotle BBQ Rub for when I want a smoky spicy flavor. My cabinets are much more organized with a few mason jars, than with boxes of packets. I always keep this natural keto taco seasoning on hand in a Mason Jar. The jar keeps it sealed and keeps any moisture out. This is important because it doesn’t have the added preservatives like the packets in the store. I use this seasoning for many different things, but, of course, Tacos first and foremost. You use this seasoning just like you would use a taco packet. Then add a tablespoon of this seasoning for each pound of meat, and a little splash of water. Finally, re-heat and stir seasoning and water around until it is mixed well, and the water has evaporated. 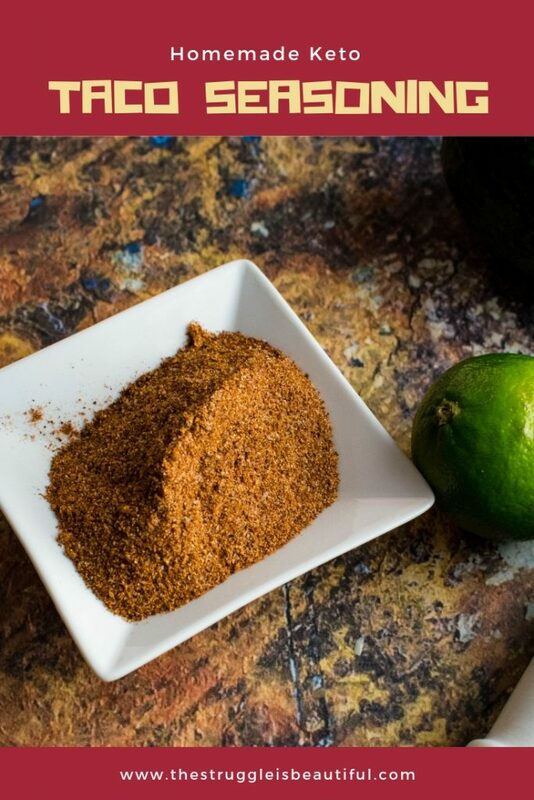 Replace the packet with this perfect taco seasoning blend. Use it to season foods or to make tacos. Add 1 tablespoon to a pound of ground beef for tasty taco meat. Mix all ingredients together in a jar with a sealed lid. Store with spices and use as needed. 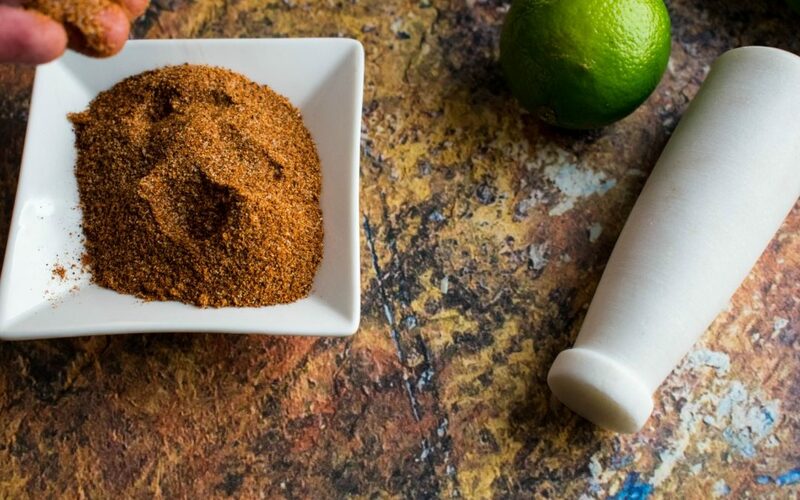 I hope you enjoy using this keto taco seasoning as much as I do. I love the fact that we can enjoy delicious tacos without the guilt!